A mechanic’s tray full of bolts and tiny screws, Mom’s jewelry box, a desk drawer loaded with office supplies… and cue sound of the contents spilling across the floor. Followed by a primal scream. You know this scene. We’ve all experienced the agony of having painstakingly organized our stuff only to accidentally upend our hard work, forcing us to start arranging things all over again. Silence. This is the sound of no more disasters and the opportunity for you to fill your saved time with accomplishing tasks and feeling greater peace. You can thank Jeffrey Bean, founder of StorTECH Storage Systems, for your newfound organizational bliss. Jeffrey is an industrial design and manufacturing engineer with a long history of designing products related to tooling and manufacturing. 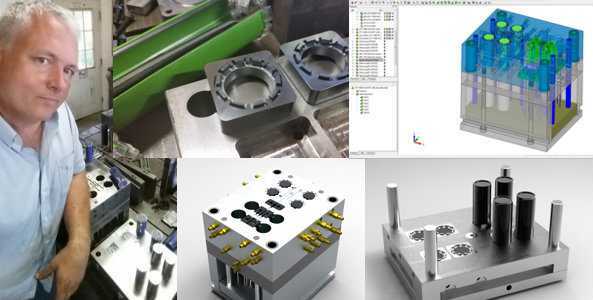 Over the last five years, he’s used his broad experience – and his specialization in both designing and building plastic injection molds – to develop side-opening organizers. A wonderful coincidence that has recently brought Teenage Mutant Ninja Turtles back to the big screen makes it appropriate to say that Jeffrey’s idea is totally tubular. His patent pending Twist Tubes twist open and closed, making them convenient for storing small things securely and easily. 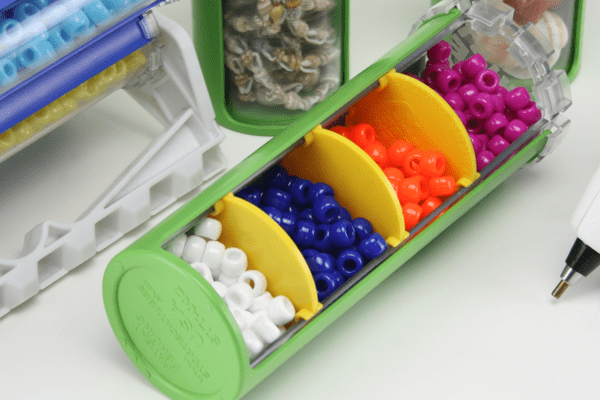 Snap-n-slide dividers help maximize the space inside each container. Like many startup founders, Jeffrey was dissatisfied with competitive products available in the marketplace and devoted himself to creating a solution for organizing woes. His story is rather unique, however, in the sense that he truly built everything – the injection molds, a line of products, and every component of the business on his own. His craftsmanship immediately distinguishes Twist Tubes from flimsy and ineffective storage containers. Each tube is made of polycarbonate, the same stuff used to make safety glasses, so the plastic is super durable. The lock system ensures the tubes will not open or close unless you want them to, while clear windows on the side and face make it easy to see contents. No, they’re not going to roll away. Tubes lay flat. What’s more, they’re thoughtfully designed to fit with the UltraSTOR rack so that they can be mounted on walls, under cabinets, or hung on a pegboard. Other products such as the TUBE CUBE, HANGnSTOR Go Clip, and SNAPnSTOR Mount Clips, allow individuals to place, stack and transport tubes however they like. Versatility makes Twist Tubes especially attractive. They fit just about anywhere you need them and hold whatever contents you’d like (currently they’re available in a small or a large size). 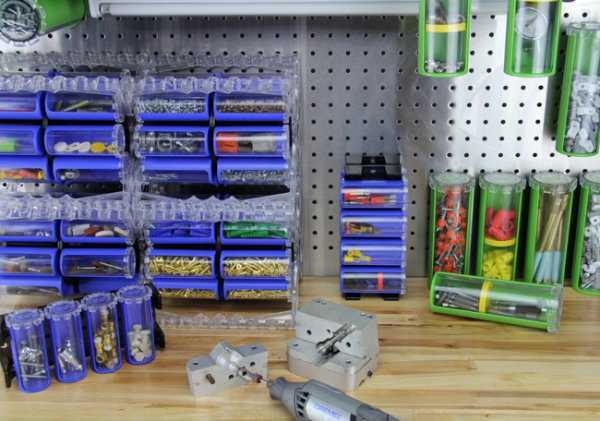 Game pieces, tool parts, crafts supplies, fishing gear, jewelry, XBOX wires and accessories – Twist Tubes can keep them all organized. To put the finishing touches on his injection mold design, complete his retail packaging, and then begin shipping Twist Tubes out into the world, Jeffrey has turned to Kickstarter for financial assistance. As of this writing, he’s just $628 shy of his $7500 goal with 33 days to go. Unlike many crowdfunding campaigns, Twist Tubes aren’t some pipe dream or unproven concept. They’re fully developed and have already racked up awards at the National Tool and Hardware show. They are about to enter our homes, retail stores, places of business, and tidy up our lives, friends. Now, if only we had a container to round up those endless startup concerns… Visit the Twist Tubes Kickstarter Page to lock in your rewards (including free shipping in the US) and to become an early benefactor in the Twist Tubes tubular takeover and Kickstarter success.